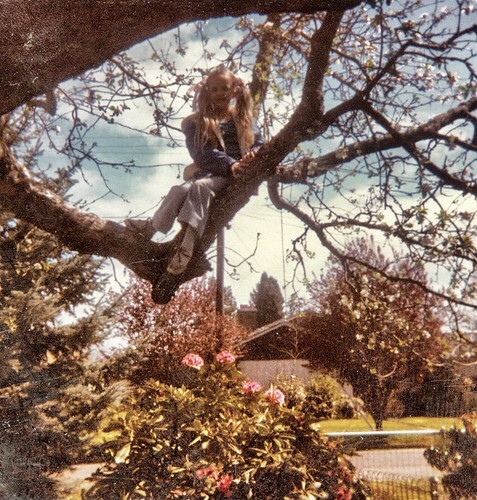 Do you have a favorite climbing tree from your childhood? 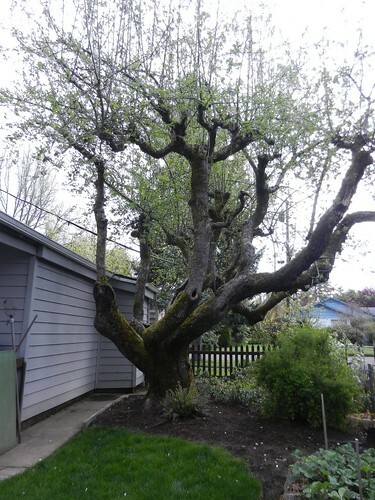 Mine was a pear tree in the front yard of the home my dad built for our family. 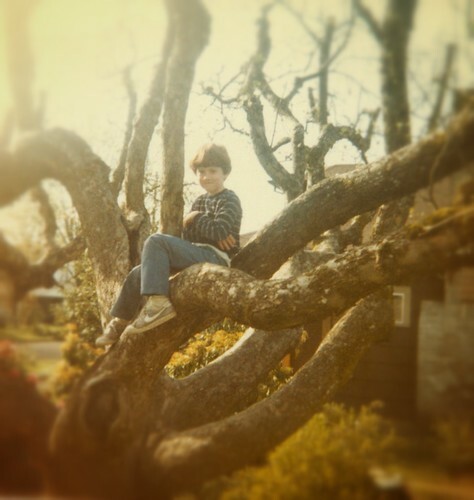 I remember hanging from my knees on one branch in particular for long periods of time. (That explains a lot!) 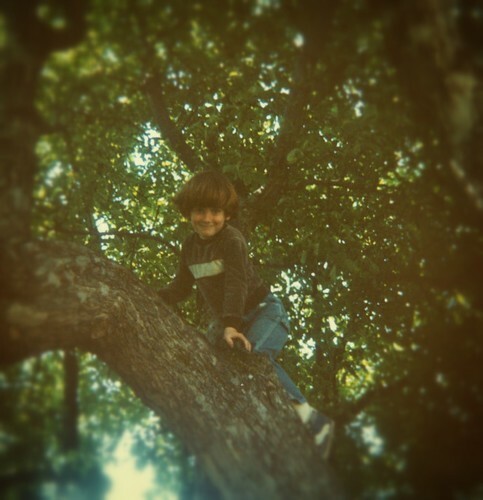 I also remember that climbing up was easier than climbing down. 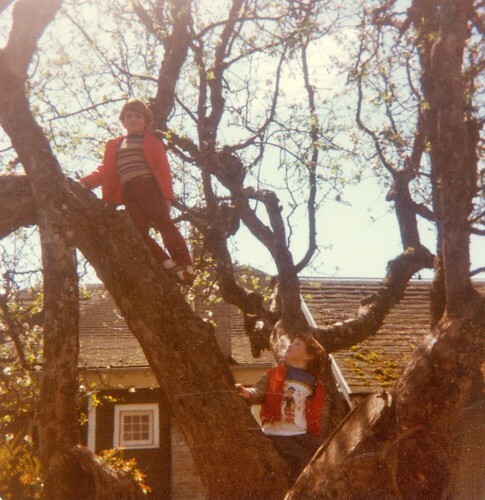 Of course I wish I had a picture of that tree, but the only one in my childhood archives is when it was a mere sapling. 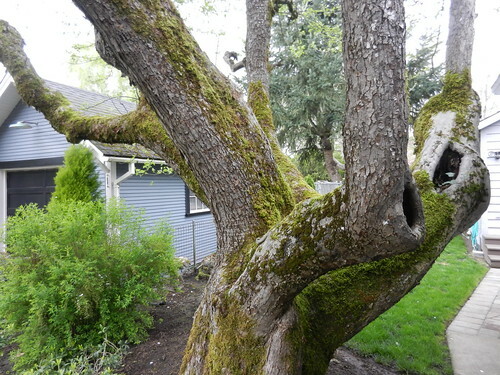 I tried to take matching pictures, but the tree has evolved in 33 years, and only a few uniquely shaped limbs are recognizable. Like this one, for example (photo taken today). If Rachel didn’t live in Philadelphia, I’d ask her to pose on that limb for this site. Circa 2013. 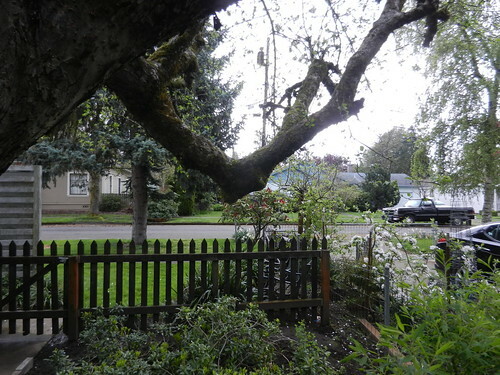 When a recording studio was added to the house in 1983, Margaret-Rose’s only requirement was that it didn’t interfere with the integrity of the apple tree. And you can see it’s still going strong thirty years later. 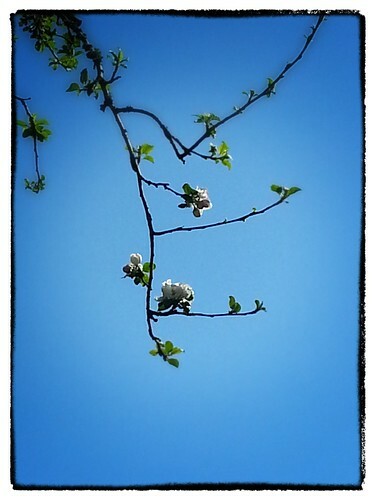 Photos of apple blossoms are a dime a dozen. I found page after page of them at Google images. But there’s something unique about this one, taken a couple of days ago (no blue sky today). This blossom is glamorizing our gravenstein tree, offering us not only a reminder that spring is just around the corner (even though the calendar claims it has already arrived) but the promise of pie filling. This entry was posted in 514, in the neighborhood, nostalgia. Bookmark the permalink.